I announced this morning on my facebook page that there will be changes coming to my blog for 2013.
one of the changes is that I plan on moving to WordPress. My bff Brittany at The Butterfly Mom uses it and so do many other successful bloggers. 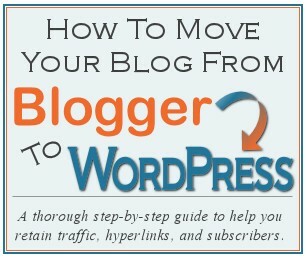 Over at Addicted to Decorating Kristi actually put together a ebook on how to move from Blogger to WordPress. She also has posts about what to expect, pros and cons, and she speaks from experience because she used Blogger for more than 4 years before going to WordPress. I'll share about my experience after it is done but if you are thinking about making the jump... check out her ebook. Disclosure: This post does contain affiliate links. By using these links to purchase your ebook you are also supporting Bit Of Byrd.